I’ve had one of my more unpleasant experiences dealing with media this week – and in 16 years of working with journalists and media outlets, I can count experiences I’ve had like it on one hand. What was really unsettling about this week’s situation had been the fact that it has been marked by the total absence of conflict – in fact, the absence of any kind of reaction at all, apart from the use of the delete key – until a short time ago this morning. On Wednesday afternoon just after 5pm, I picked up a mention of one of my clients in an online news article. However, the client’s name had been spelt incorrectly. I dropped a note to my client to let them know that there had been a nice mention in the media – and included the paragraph in which the company had been referenced. I also let my client know that I was going to send an email to the journalist asking to correct the spelling of the company’s name in the article. I sent a short and pleasant email to the journalist on Thurday morning, asking for the correction – something I’ve done without issue numerous times before – and thought I’d get a quick note back to acknowledge. All pretty straightforward stuff. By about 2:30pm on Thursday, I hadn’t heard anything back, and there had been no correction made to the spelling of the company’s name. I was starting to think that possibly the journalist was out of the office, on leave, or at a media event somewhere. At that point, I thought – “all I really need is a literal correction to the content” – so I forwarded the email to another journalist at the publication, who I knew was in the office, because I had been in touch with her earlier in the day. That might have been where I made a mistake, because the next thing I saw was that the article had been changed but, rather than the company’s name corrected, it had been deleted altogether. I’ve seen that <client name> has now been completely removed from the article. Was this just an oversight? – I hope in some way I haven’t offended anyone. Finally, later in the afternoon I picked up the phone to try and speak to the journalist, but could only leave a message on his voicemail. If <client name – spelt incorrectly> has customers who can talk Y or some other topic of relevance to <publication>, great — let me know. The point was that <client name> was in the original article, which was only deleted when I asked for the spelling of the company’s name to be corrected. I am completely at a loss as to why this has happened and, at the time of writing, I don’t expect I’ll get any further response. Perhaps it might not have been so bad if I hadn’t already notified my client about the coverage – but I had. 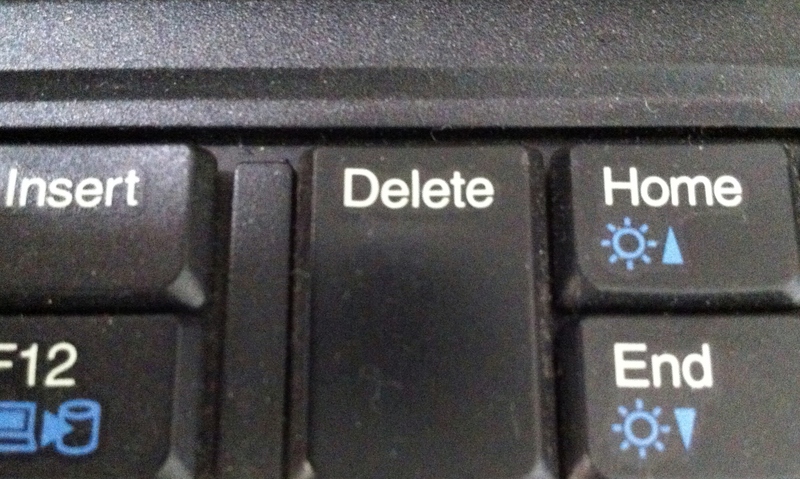 It’s just sobering to keep in mind the absolute power the media can wield with the delete key. ← How Do You Monetise Digital News Content? in the world of instant gratification expecting them to instantly bow to your request is not unreasonable. However it seems your need to make sure the right thing is done had ruffled some feathers. I think in this case the timing of the notification to others in the office are the problem. Waiting till the next day would have probably solved the entire problem. Now that brings me to my question. What is worse? Having the clients name spelled incorrectly in an article, or having the article changed to not even include the client at all? I am not sure there is a “right” answer. I am just curious how it went with your client after they were removed. In hindsight, having the client’s name mis-spelt in the article would have been preferable. Have yet to raise it with the client, hoping that things would have been resolved amicably first! You know, all that I was asking for was a simple spelling correction – I hardly think that is something over which it is worth getting your feathers ruffled – but next time, I definitely won’t ask his colleague for assistance! its hard to be sure. I can see where you are coming from. Usually in the world of journalism writers are kind and are just happy that someone read what they had to say. And so are really happy when someone corrects them politely on spelling errors. It seems this guy was not one of those people though. Live and learn I guess…… right?